These are the brightest availible. 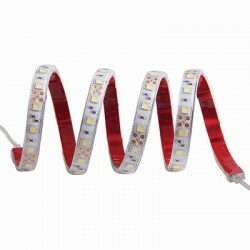 One meter long fully waterproof, flexible LED strip light uses 60 ultra bright 5060-SMD type LEDs. Suitable for outdoor applications where the brightest LED strip lighting is required. 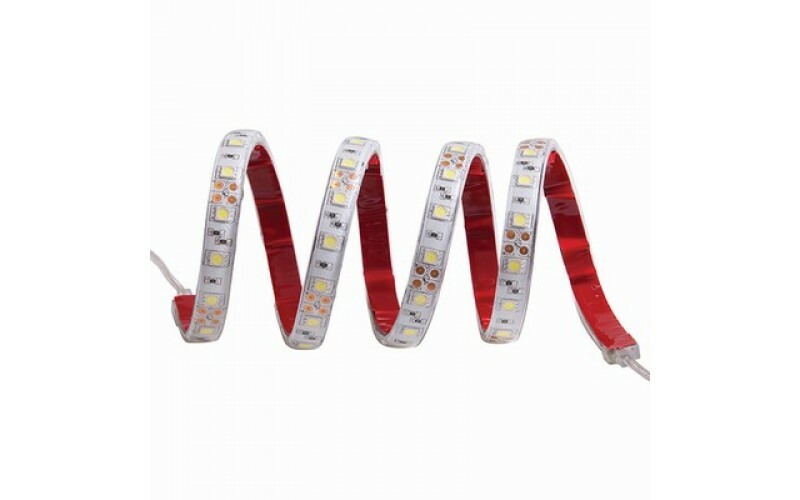 This one meter long strip light has 60 of the brightest 5060 SMD LEDs available. The strip is fully sheathed in a protective plastic casing to protect from water, dust and damage. Each strip light also has one waterproof male or female connector at each end to ensure all connections are protected from the elements when multiple strips are daisy-chained together to create a longer length. Up to 5 strips can be linked together, powered by 12VDC.